If it can go wrong, it will! Along with ‘don’t spill your coffee into your keyboard’, backing up your data on a regular, timely basis is one of the simplest ways to protect your sanity when faced with any of the ‘gotcha’ demons: lost/corrupted files, a hard disk collapse, or saints-preserve-us, a computer meltdown. It’s now a simple, inexpensive process to protect all of your data—your email, your photos, your journals, your whatever is important to you that you don’t want to lose. You don’t have to be a computer whiz or a nascent nerd to control this necessary part of your digital life. There are a bundle of applications out there along with an array of online services to comfortably automate your backup needs. 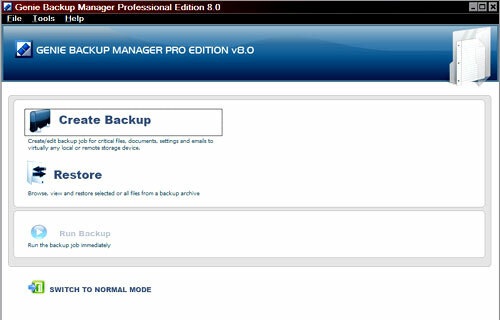 One of the easiest to use and most comprehensive backup systems we’ve tested is the Genie Backup Manager. It is designed with you in mind, whether you are a computer newbie or an experienced user, a techno-literate or techno-challenged. And from this point, Genie prompts you quickly through a series of steps to preserve your data. If all you want to do is backup it up and keep it safe. Genie will take care of it. If you have a more elaborate scheme you want to follow, Genie will do for you what the most expensive systems will charge you and arm-and-a-leg to do. This well-designed, thoroughly tested program offers an astonishing list of features and tools, thorough online help along with responsive technical support, and an Online Storage Service if you don’t want to backup to your own computer or you live in hurricane country. 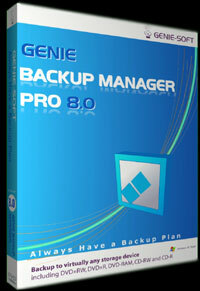 Unfortunately, Genie Backup is available only for the Windows operating system.